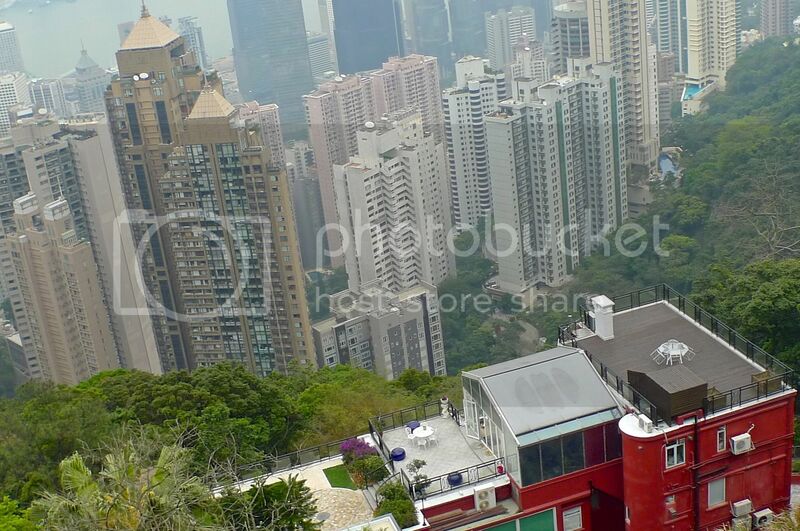 The Peak is the highest mountain on Hong Kong Island, standing at 552 metres above sea level. 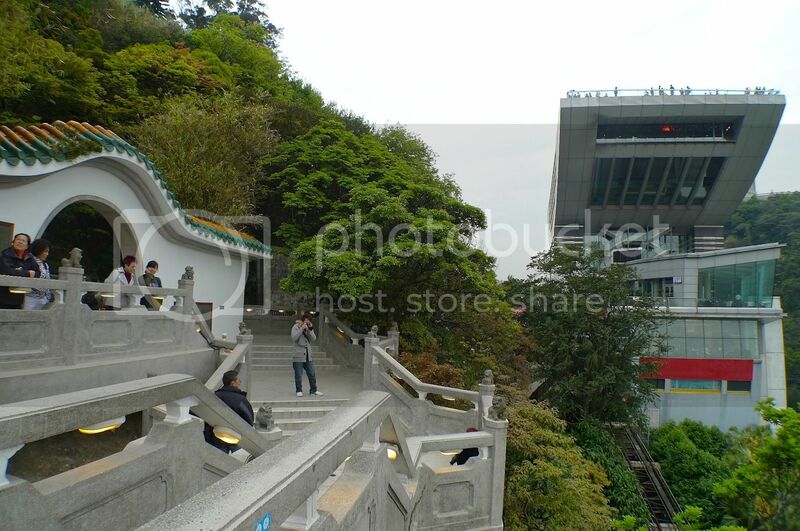 It is also a very popular tourist destination, so if you are a first timer to Hong Kong, you must not miss it! 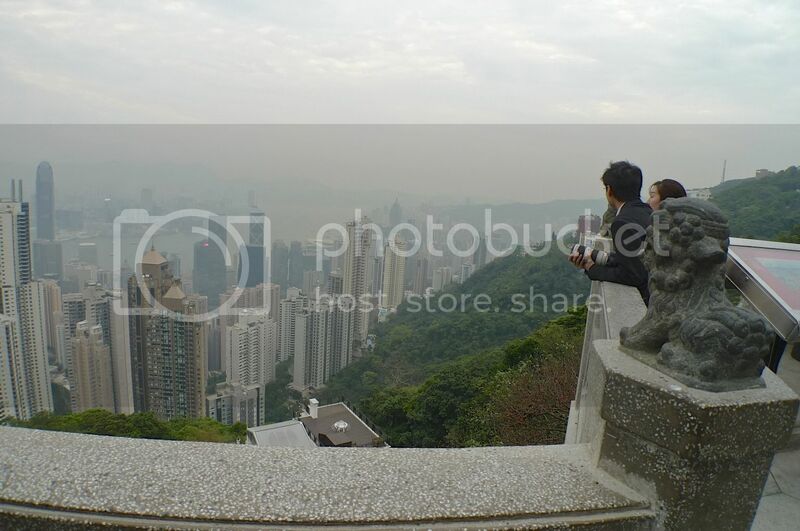 Many locals used to go up to The Peak to escape the scorching summer heat, but as my friend and I were in Hong Kong during the colder month of March (February is the coldest month in Hong Kong), it felt really cold up there, especially at night! 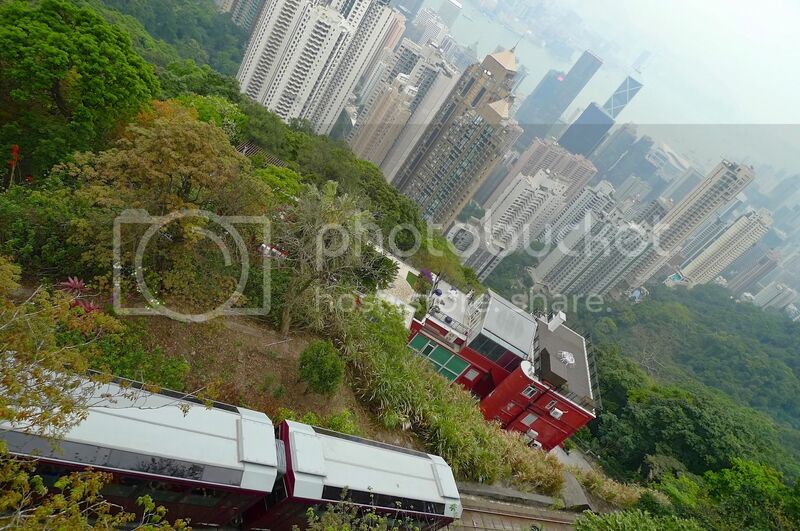 To reach The Peak, you will need to sit The Peak Tram from the Peak Tram Terminus at Garden Road, which is a short distance from Central MTR Station. You can also sit the mini bus but that's not as fun as the tram! 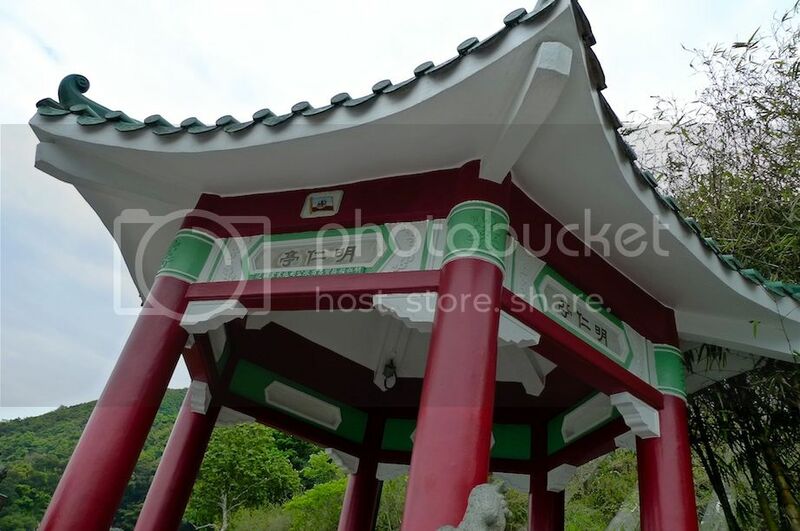 The Peak Tower is undoubtedly, the most unique building at The Peak. I was pretty amazed with its stylish and somewhat avant-garde architectural design. To me, it looks like a Chinese wok! This spectacular tower houses a wide range of restaurants, shops and the famous Madame Tussauds Wax Museum. For the list of shops, check out The Peak website for more information. At the top of this tower is another attraction - the Sky Terrace 428 - which boasts the highest 360 degrees viewing platform in Hong Kong, at 428 metres above sea level! 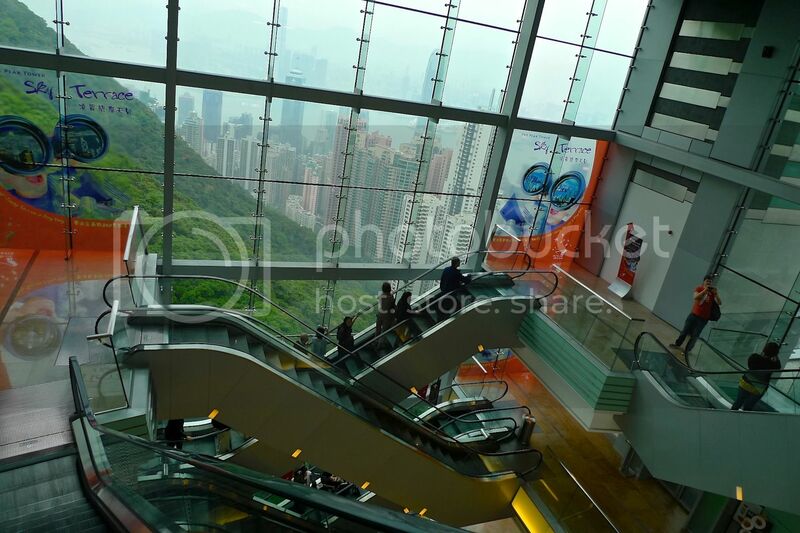 Entrance to the Sky Terrace costs HK$30 but it is advisable to buy the Peak Tram Sky Pass which combines return ticket for the Peak Tram (HK$40) and Sky Terrace pass at only HK$65 - a savings of HK$5. Please take note that I am quoting the latest revised prices. 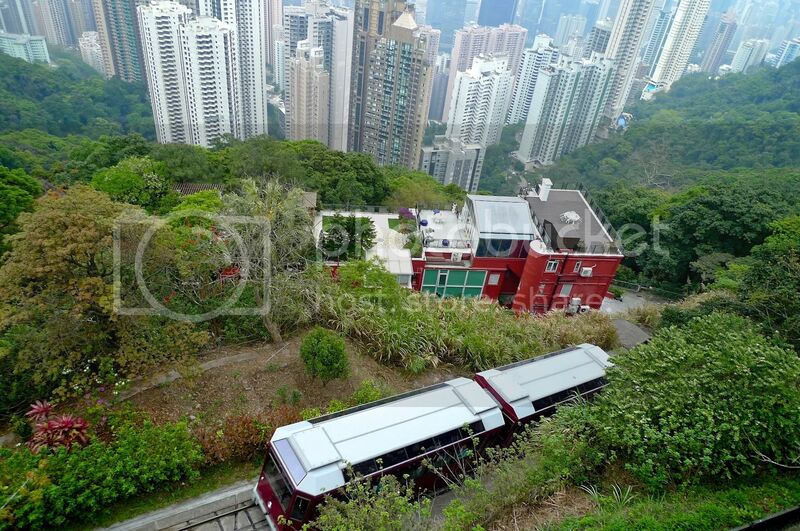 Last time my friend and I went there, we bought the 3-in-1 ticket which include the 2-way Peak Tram ticket, the Sky Terrace ticket and Madame Tussauds ticket from our hotel boss (who acted as agent) at only HK$175 per person. That's pretty cheap considering that the current ticket price just for Madame Tussauds alone is HK$185! Anyway, since we could only use the Sky Terrace pass once, we decided to visit it at night to experience the panoramic night view of Hong Kong city! The day was spent enjoying the outdoors. 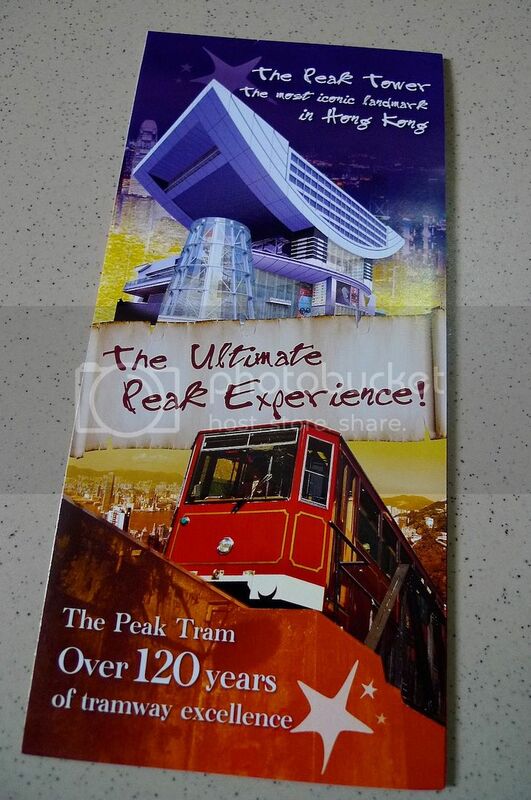 Oh, we saw an old tram cabin outside Peak Tower. 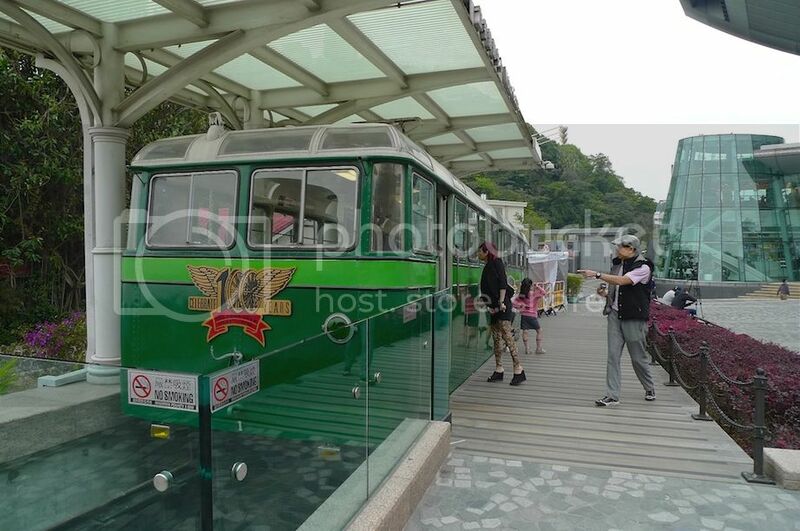 I learnt that this was the real tram which was in service between 1959 and 1989. We walked along Findlay Road nearby and saw the magnificent Hong Kong city below with its famous skyscrapers and Victoria Harbour. 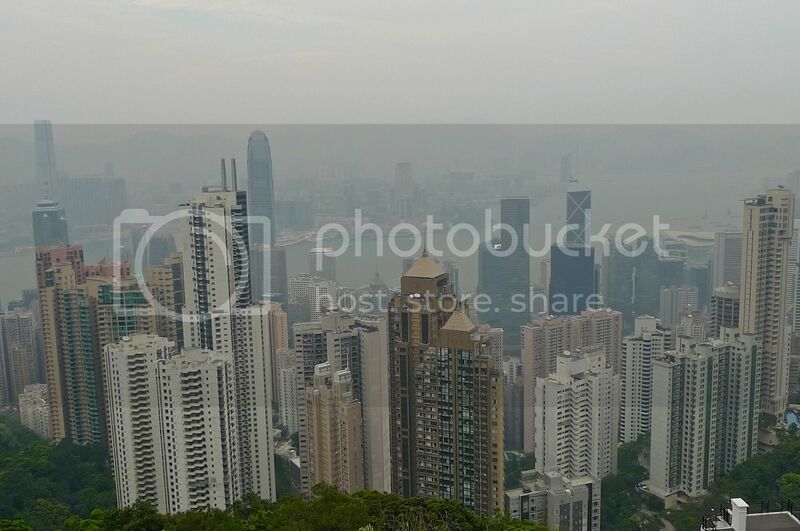 Can you spot the Bank Of China building and the Cheung Kong Center which I talked about in my previous post below? I had just finished watching the HK-TVB series Born Rich prior to my Hong Kong trip. In the show, the rich family stays in a huge house that overlooks the city below just like the picture above. Now I know they had simply taken a shot of this scene from The Peak and fooled us viewers! LOL! 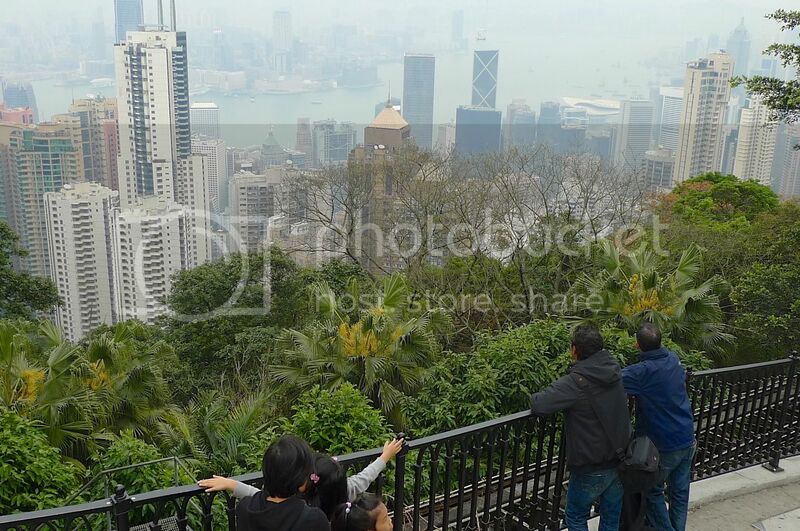 We reached the Lions Lookout Pavilion which was a great spot to take pictures of the Hong Kong city skyline. A tram just zoomed up the hill giving me a great opportunity to take a shot. 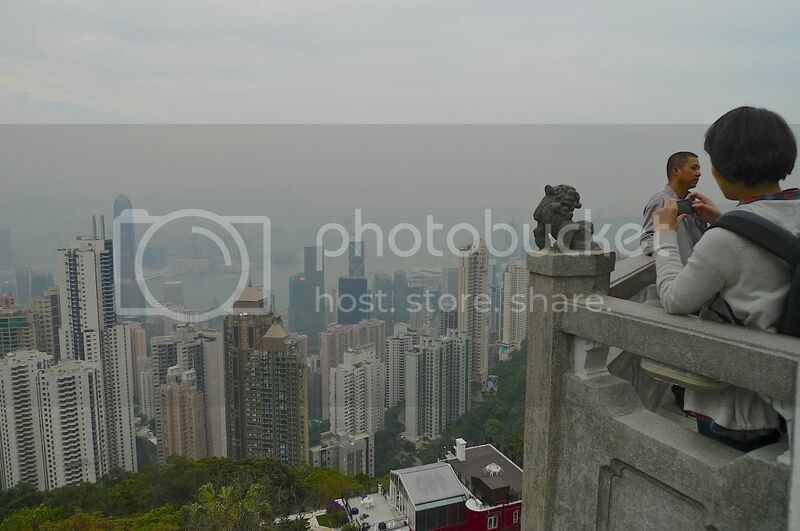 Don't you think Hong Kong looks so beautiful from up here? There were quite a number of tourists at the pavilion. 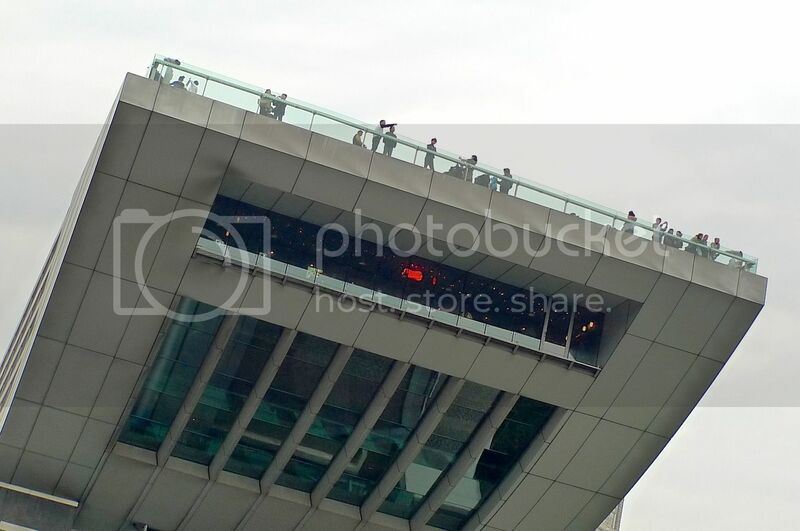 Can you spot those tiny people up at the Sky Terrace of the Peak Tower? Luckily though, it was not that crowded. That's a good reason why you must never go to Hong Kong during the peak (pun intended) season! 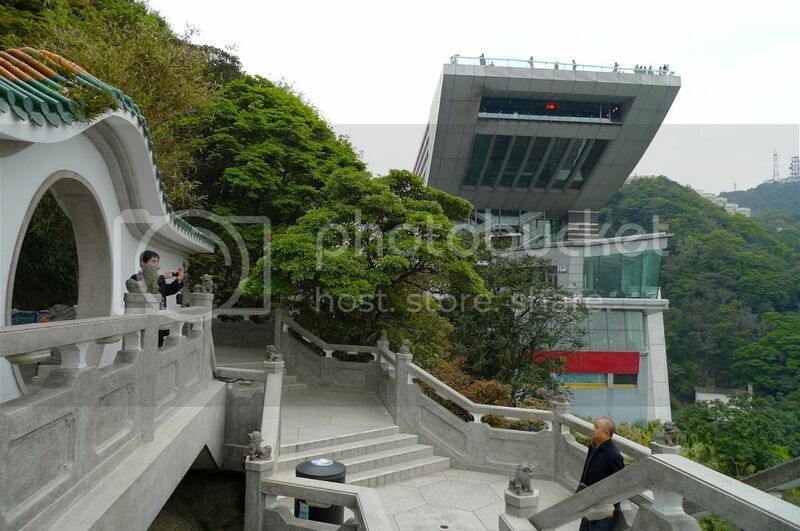 A closed up shot of the Sky Terrace on one side of the Peak Tower. 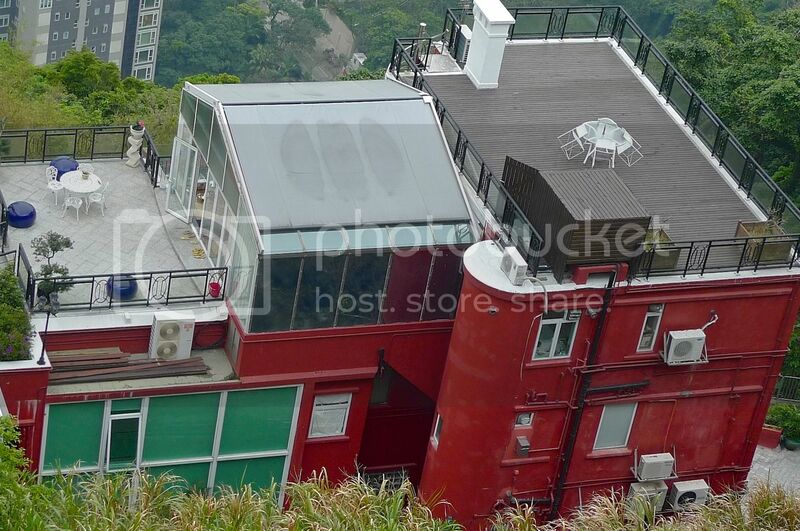 We would be up there later during the night to enjoy the night scenery of the Hong Kong skyline. And I could remember how cold and strong the wind was up there, but that's a story for another post. We rested for a while at the beautiful gazebo. When most of the tourists were gone, I continued taking more pictures. I wonder what this red color building was. 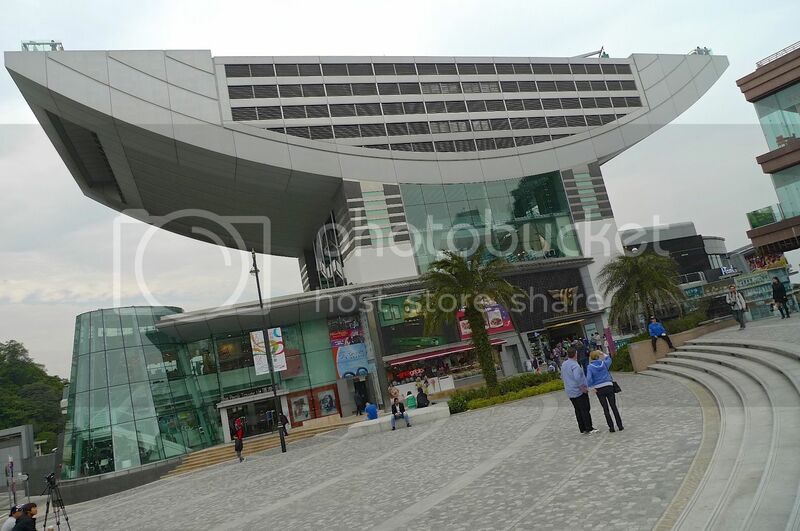 It sure sounds nice to stay for one or two nights in this building and dine at the rooftop, don't you think so? It was almost 5pm, and we decided it was time to visit superstar Michelle Yeoh. Not the real Michelle Yeoh but her wax figure of course!! I suppose some of you got conned in my previous post. Haha! So yes, to Madame Tussauds Hong Kong we went!